Here's a new sleek, super slim, super light, 117gr, Android Super Phone by Sony Ericsson using the new 4.2" Sony Bravia Reality Display technology which is a very bright, vivid colors, sharper image high end LED backlit LCD. Samsung has spent the last year to even improve the quality of Super AMOLED screen further, releasing the new Plus version in 4.3" and 4.5" sized new Android Super Phones powered by a new faster 1.2Ghz Hummingbird processor. Jetbook mini is a 5" LCD e-reader, works 50 hours on normal triple a batteries and 90 hours on rechargeable lithium ion batteries. Will it be in iPad2? Will it be in Kindle4? Of course she can't say anything about it, but I really hope so. Was Pixel Qi delayed a bit because of the success of the iPad slowing down potential investments in Netbook screens? How did they manage financing their startup through the economic turmoils of the past couple of years? Pixel Qi introduces a 7" model that is going to be mass manufactured by CPT after February, after the Chinese new year celebrations. The 10.1" 16/9 and the 9.7" 4:3 screens also are due to be mass manufactured soon. This is the ultimate combination for the future of laptops, ARM Power and Pixel Qi display for 40-50 hours battery runtime. This Genesi laptop uses the Freescale i.MX51 processor. Pixel Qi and CPT are preparing 3 different screen sizes to be mass manufactured in 2011, including a 7" 1024x600 design that will be shown early January at CES in Las Vegas. CPT has a monthly production capacity of 40 million LCD screens. That's 480 million LCD screens per year. How much of these are going to be Pixel Qi types is to be seen. CPT is the worlds second largest manufacturer of mid-size (4.8"-11.6") LCD screens (behind CMI). I'm hoping that the 3 sizes that they are working on are 4.8" or 5", 7" and 10.1", sizes which I think are the best for Tablet and E-reader use. 4.8" or 5" being the largest to fit in normal pockets (passport sized), 7" the largest to fit in jacket pockets and 10" being current top Tablet and about the size of an A4 page. But I also think 11.6" or 12.1" screen size like the one Google wants for Chrome OS notebooks could also be a good size. This alliance started early last summer when CPT showed a transflective screen of its own design at a Taiwanese trade show. Discussions between the two companies at that show made it apparent that Pixel Qi and CPT should work together to bring stronger product to market faster. A close alliance was formed and the teams have been working together quietly all fall. 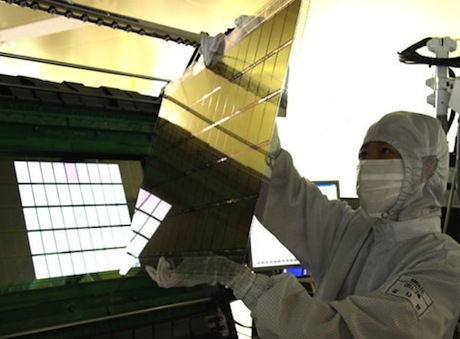 They have created samples of a 7” 1024×600 screens scheduled for mass production in early Q2 2011, which will be first publically shown at the CES 2011 exhibition in Las Vegas in early January 2011. This represents an expansion of Pixel Qi’s manufacturing strength beyond its first LCD manufacturing partner who has been shipping Pixel Qi’s 10” screen. These dual-mode reflective and transflective LCD screens are crucial to realize the combination of Tablet and E-reader into one product. Without this type of screen, I don't believe tablets can be used for reading books as backlights are not meant for reading, and for e-readers to use LCD also makes them more versatile thus also including all the tablet functions into one same product. Most importantly, this screen technology improves battery runtime for ARM Powered devices considerably, as in a 10" ARM Powered tablet or laptop, the backlight probably consumes about 80% of the devices overall power, consider thus a screen that can work without a backlight or with a lower backlight intensity, and you have a battery runtime multiplied by as much as 5x in that same product. Thus an ARM Powered Tablet or Laptop that had 10 hours battery runtime on a regular backlit LCD may have up to 50 hours using this type of screen. Thus also making this screen absolutely crucial for projects like OLPC and the Indian education $35 tablet project if they want to make it viable that these devices can be used places where there isn't a lot of power. According to the new Pixel Qi products page at http://pixelqi.com/products, the 7" version of the Pixel Qi screen, thus suitable for more portable tablet form factors and e-readers, may be on display and perhaps available as samples starting this January at the CES trade show. We are developing a 7” screen for tablets and ereaders that is planned for mass production in H1 2011. Samples will be available earlier, perhaps by late Q4 2010. As I am typing this post on my awesome 7" Archos 70 Internet Tablet, I can imagine how it would be to have the device be even lighter (than its current 300 grams, vs 380 grams Galaxy Tab and 680 grams iPad) with a smaller battery or to have it last upwards 50 hours with a reflective screen suitable for e-reading. Kindle 4 should definitely use this, and this is I think the reason for Amazon to be secretly preparing their alternative Android application store. Samsung will show the Super AMOLED screen in 2 weeks at the FPD-International exhibition in Japan, but production won't start before middle of next year when Samsung's upcoming new Super AMOLED factory is ready to produce larger amounts of these new screens. Super AMOLED is pretty awesome screen quality, though by then, I would like to also see 4", 5", 7", 10", 11", 13" Pixel Qi LCDs in all tablets, laptops, turning them all into perfect e-readers for outdoor use and with battery runtime upwards 50 hours. The big question is how much more expensive is Super AMOLED compared to LCD and how much difference in price will it have next year? If people keep buying $500 devices next year, then Samsung can use Super AMOLED and absorb the price difference as a differentiator as those prices are so high. But if $100 Android tablets are common by then, then possibly there won't be enough demand to justify a 7" Super AMOLED screen if the manufacturing price is more than double the price of good capacitive Pixel Qi LCD screens. We will be announcing other products carrying Pixel Qi screens here in this blog; stay tuned. Tight supply chain and 100% factory usage this spring and summer coupled with Apple’s disruptive iPad effectively had a 1-2 punch impact: delaying most tablet makers from coming to market as early as they wished. The situation has eased: the supply chain is more robust and factory capacity is widely available. 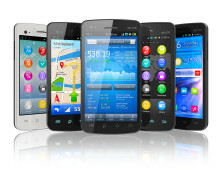 Many of our device makers used this downtime to refine their designs with the result being even more exciting offerings that are highly differentiated from the iPad with options well beyond ATT for carriers. These device maker partners will be making more announcements coming this fall. And so, a screen that I think would be perfect for the Archos 70 Internet Tablet, the Samsung Galaxy Tab and the Foxconn ARM11 Powered 7" Tablet reference design, Pixel Qi is announcing the development of the 7" Pixel Qi screen size. Here's also who needs to absolutely use the 7" Pixel Qi screen, the $35 Indian HRD Tablet Project!!! In my opinion, everyone in the industry with 7" and 10.1" LCD tablet projects, all need to be a part of this revolution and need to use this amazing screen. Hopefully with mass manufacturing and large serious orders, the screen will be cheap enough to be close to the price of a normal LCD, hopefully the yield and the long term performance in use will be just as good as normal LCD.